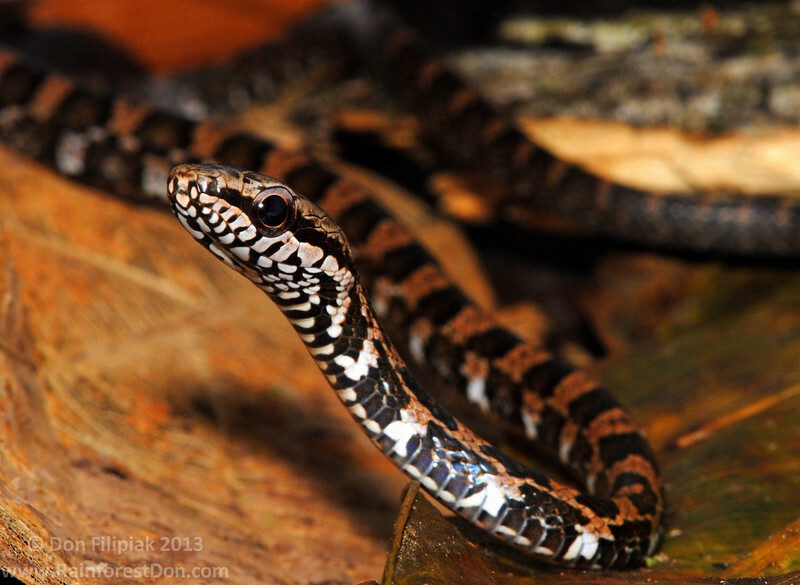 This is an example of a young Salmon-bellied Racer (Mastigodryas melanolomus). They display a light brown base color with darker brown blotches alternating on the back and sides of the body. As if this wasn't enough attention grabbing contrast, the lower lip and chin have a striking black and white pattern that fades with age. The juveniles do not yet show the name-sake salmon-colored belly that the adults display.